The Vatican is the seat of the Catholic world, also officially called State of the Vatican City is located in the city of Rome. The city is known worldwide for its Museum, the Sistine Chapel, St. Peter's Square and St. Peter's Basilica. 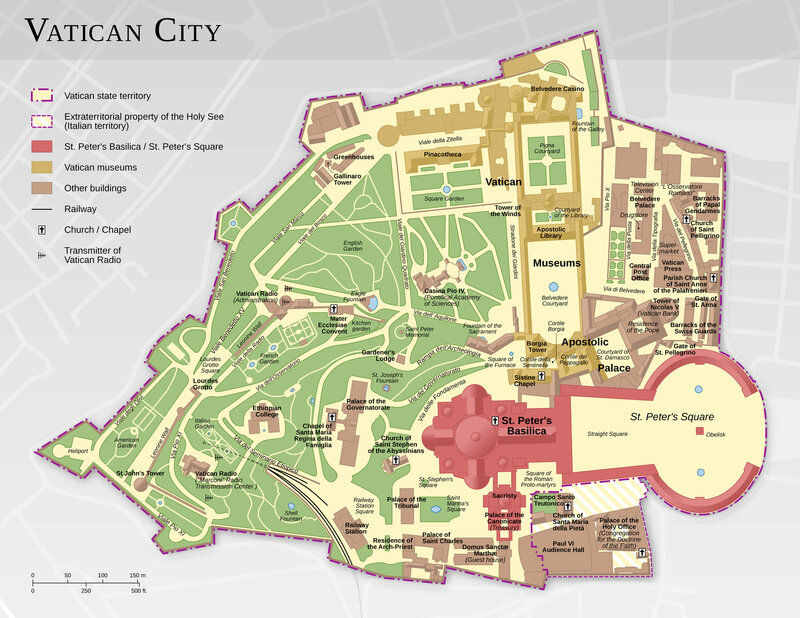 The Vatican, seat of the papacy from St. Peter, was established February 11th, 1929 as a temporal representation of the Holy See, all the institutions of the Roman Catholic Church. The city has a population of around 840 and an area of approximately 108 acres (44 hectares), making it the smallest state in the world. As the seat of Catholicism, the Vatican has a very important cultural influence that can be discovered especially through the eleven Vatican museums and its many monuments and sights.